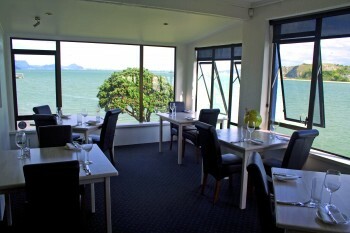 We have many relationships with local suppliers (Northland & Nationally) that allow us to use the freshest & best produce. We take the opportunity of the seasons and change dishes regularly. We serve 18 wines by the glass, all yummy & with great food compatibility. Our full beverage list including many fruit juices & sodas, cocktails, extensive beer list, premium spirits, cellared wines & ports, liqueurs & digestives. We also make our own breads, pates, terrines, chutneys, jams, sauces & dressings & our chickens (9 : 1 acre J) lay our eggs. Our food is cooked to order and we happily cater to specific dietary requirements. We are mindful of the planets sustainability in all our decision making & actions.